This article is about the position of South African head of state and head of government from 1994. 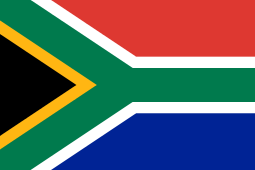 For the position of South African head of state from 1961 to 1994, see State President of South Africa. The President is elected by the National Assembly, the lower house of Parliament, and is usually the leader of the largest party, which has been the African National Congress since the first non-racial elections were held on 27 April 1994. The role was founded to be distinct from the now defunct role of prime minister, but the two roles were merged in the 1983 constitution which specified a four-year term of office. The 1993 and later constitutions limits the president's time in office to two five-year terms. The first President to be elected under the new constitution was Nelson Mandela, and the incumbent president is Jacob Zuma. Under the interim constitution (valid from 1994 to 1996), there was a Government of National Unity, in which a Member of Parliament (MP) from the largest opposition party was entitled to a position as Deputy President. Along with Thabo Mbeki, the last State President, F.W. De Klerk also served as Deputy President, in his capacity as the leader of the National Party which was the second-largest party in the new Parliament. But De Klerk later resigned and went into opposition with his party. A voluntary coalition government continues to exist under the new constitution (adopted in 1996), although there have been no appointments of opposition politicians to the post of Deputy President. The President is required to be a member of the National Assembly at the time of his election. Upon his election, he immediately resigns his seat for the duration of his term. The President may be removed either by a motion of no-confidence or an impeachment trial. The office of the President, and the roles that come with it, were established by Chapter Five of the Constitution of South Africa which was formed by a Constituent Assembly upon the dissolution of apartheid as state policy. A number of manifestations of the office have existed. Aspects of these offices exist within the presidency today. The executive leadership of the British colonies of Natal and of the Cape of Good Hope were invested in their Governors, likewise was invested in the Presidents of the Boer republics of the Transvaal and the Orange Free State. Alternating sovereignty as a result of wars culminated in the Vereeniging Treaty signed in which concluded the South African War. 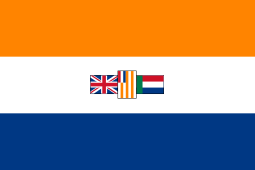 The Union of South Africa, a British Dominion, was established on 31 May 1910 and the head of state was invested in the apolitical and ceremonial Monarch of the United Kingdom (who was represented by a viceroy, the Governor-General). Upon the declaration of South Africa as a republic on 31 May 1961, the State President was created, and a realignment of power took place in subsequent years until the dissolution of the Office of the Prime Minister. South Africa has an almost unique system for the election of its president. 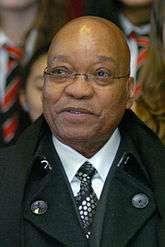 Unlike other former British colonies and dominions who have adopted a parliamentary republican form of government and those that follow the Westminster system, South Africa's President is both head of state and head of government and Commander-in-Chief of the South African National Defence Force (SANDF). 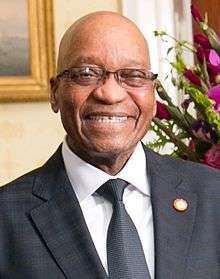 Contrary to presidential systems around the world, the President of South Africa is elected by the Parliament of South Africa rather than by the people directly or an Electoral College, thus answerable to it in theory and able to influence legislation in practice as head of the majority party (presently the ANC). The president is elected at the first sitting of parliament after an election, and whenever a vacancy arises. The president must be elected from the national assembly, the lower house of parliament. The chief justice must oversee the election. Once elected, a person is no longer a member of the national assembly. They must then be sworn in as president within five days of the election. Should a vacancy arise, the date of a new election must be set by the chief justice, but not more than 30 days after the vacancy occurs. The Constitution has thus prescribed a system combining both parliamentary and presidential systems in a unique manner. Only Botswana and a few other countries use a similar system. Between 1996 and 2003 Israel combined the two systems in an opposite way, with an elected prime minister. Although the presidency is the key institution, it is hedged about with numerous checks and balances that prevent its total dominance over the government, as was the case in many African countries. The presidential term is five years, and is limited to two consecutive terms. Thus the electoral system attempts (at least on paper) to prevent the accumulation of power in the president as was during Apartheid or in many other African countries. According to chapter five of the constitution, the president can only exercise the powers of his or her office while within the Republic of South Africa. Should the president be outside of the country, or unable to fulfil the duties of the office, they may appoint an acting president. The presidential vacancy should be filled first by the deputy president, then cabinet minister selected by the president, then a cabinet minister selected by the cabinet, and finally by the speaker of the national assembly. The President is the head of state, head of government and commander-in-chief of the armed forces of the Republic of South Africa. The rights, responsibilities and remuneration of the President are enumerated in Chapter V of the Constitution of South Africa and subsequent amendments and laws passed by the Parliament of South Africa. The executive power of the Republic is invested in the president. He appoints various officials to positions listed in the Constitution however the most significant are the ministers and justices of the Supreme Court of Appeal and the Constitutional Court. Through the Cabinet, the president implements and enforces the constitution and laws and enforces his or her political objectives. Judges are appointed on the advice of the Judicial Service Commission. The president plays a role in the formation of legislation. He or she signs bills into laws and can do the opposite, veto them (although subject to an override), refers bills back to Parliament or to the Constitutional Court or can call for a referendum. The president summons parliament, often delivering his or her objectives and agenda in a State of the Nation Address at the beginning of each session. The president is the commander-in-chief of the South African National Defence Force thereby possessing influence or control over foreign and security policy. He or she is accorded the constitutional powers to declare war and make peace, negotiate and sign (although not ratify) treaties (and the alliances that may come with them), and receives and appoints diplomatic officials, confers honours and grants pardons. The President is addressed as "Your Excellency" or "Mr/Madam President" and referred to as "The Honourable (name)". The official seat of the President are the Union Buildings in Pretoria and the Tuynhuys in Cape Town. His living residences are Mahlamba Ndlopfu in Pretoria, Genadendal in Cape Town and Dr John L Dube House in Durban. The first post-apartheid President of South Africa. The first black chief executive of South Africa, and the first elected in a fully representative democratic election. His government focused on dismantling the legacy of apartheid through tackling institutionalised racism, poverty and inequality, and fostering racial reconciliation. Politically an African nationalist and democratic socialist, he served as President of the African National Congress (ANC) party from 1991 to 1997. The second post-apartheid President of South Africa. 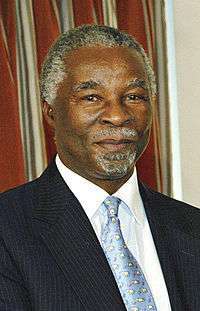 On 20 September 2008, with about nine months left in his second term, Mbeki announced his resignation after being recalled by the National Executive Committee of the ANC, following a conclusion by judge C. R. Nicholson of improper interference in the National Prosecuting Authority (NPA), including the prosecution of Jacob Zuma for corruption. On 12 January 2009, the Supreme Court of Appeal unanimously overturned judge Nicholson's judgment but the resignation stood. Minister of Communications. 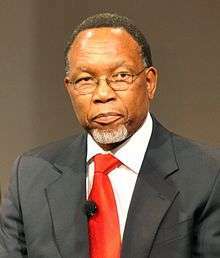 Appointed as acting president by the second Mbeki cabinet for 14 hours between the taking of effect of Thabo Mbeki's resignation at midnight on 24 September and the election and inauguration of Kgalema Motlanthe on 25 September. First female chief executive. The third post-apartheid President of South Africa. He was elected following the resignation of Thabo Mbeki. The fourth post-apartheid President of South Africa. ↑ van Wyk, Anim; Wilkinson, Kate (19 August 2014). "How much does SA's Cabinet really cost?". Mail & Guardian. Retrieved 23 August 2014. 1 2 "Constitution, chapter 5: The President and National Executive, 88. Term of office of President". ↑ "General History of South Africa Timeline: 1910s". ↑ "General History of South Africa Timeline: 1960s". ↑ "Voting Completed to Elect New President". ↑ "Chapter 5 - The President and National Executive". The Nelson Mandela Centre of Memory. Retrieved 30 January 2016. ↑ "Elections in South Africa". ↑ "Succession planning for dummies". Daily Maverick. 14 December 2012. Retrieved 30 January 2016. ↑ "Responsibilities of the President of South Africa". ↑ The Presidency (14 October 2004). "GCIS: profile information: Thabo Mvuyelwa Mbeki, Mr". GCIS. Archived from the original on 16 April 2007. Retrieved 27 November 2007. ↑ "Cabinet bids farewell to Mbeki". SABC news. 25 September 2008. Archived from the original on 29 September 2008. Retrieved 25 September 2008. His resignation came into effect at midnight. ↑ "SA's Mbeki says he will step down". London: BBC News. 20 September 2008. Retrieved 21 September 2008. ↑ Quintal, Angela (2008-09-26). "No wars, no drama for Matsepe-Casaburri". The Mercury. p. 2. Retrieved 2009-04-22. ↑ Chikane, Frank (2012-04-28). "Emotional farewell as Mbeki holds last cabinet meeting". Daily Nation. Retrieved 2016-08-26. 1 2 "Zuma sworn in as SA's fourth democratic President". SABC. 9 May 2009. Retrieved 9 May 2009. Wikimedia Commons has media related to Presidents of South Africa.